At the first sign of an infection, I begin taking 3 essential oils capsules a day. And I continue taking them for 10 days after the symptoms of my infections are gone. I find that my infections don't escalate into more serious conditions, I get over them faster, and I feel more energetic than I ever did after a round of prescription antibiotics. They seem to work on viruses as well as bacteria. I have capsules in my first aid kit at all times. I have had rheumatoid arthritis for almost a decade. I can’t use some tools because the pain is more than I can stand. I can’t close my hands enough to hold the tools securely. A friend showed me how to layer four oils on the back of one of my hands. Within a few minutes that hand was able to work like a normal hand while my other hand still had a lot of pain. I was amazed. I had a serious case of acne that had been going on for months. I read about using capsules with Tea Tree. I made the capsules and took them for 20 days, and my acne cleared up. I have to admit that I also cleaned up my diet because I read that it doesn't matter what antibiotics you take, if you don't adjust your diet and get rid of the sodas and fast food, it won't matter much what else you do. I've had a lot of urinary tract infections, and the antibiotics I've used drain my energy and often prompt a candida infection. When I learned about essential oil capsules, I decided to try them along with the antibiotics I was taking. I took the strong blend recommended on the website and when I had finished my antibiotics and my essential oils, I didn't have any problems with candida, and I felt healthy and energized. I discovered the costly doTERRA joint pain remedy a year ago. It's over $40 for a tiny 5 ml bottle. I am on a fixed income, so I was grateful to discover youroilessentials and try Deeper and Paine. I get 10 ml of each of them for only $31 and together they work better than the expensive brand from a network marketing company. I order them regularly and use them every day. They work to keep my debilitating joint pain at bay so I don't have to use harsh, synthetic products. 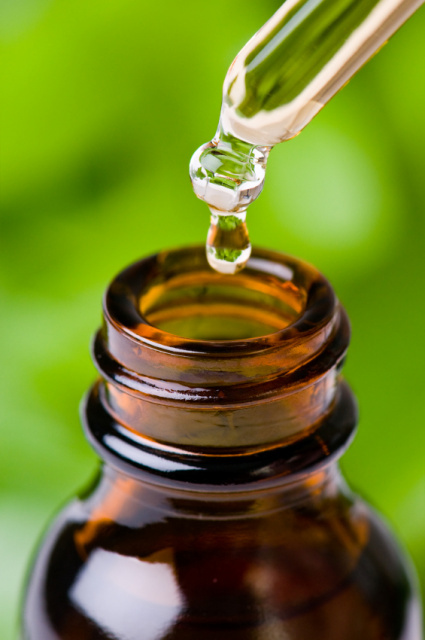 I have been working with essential oils in massage for several years. I frequently use Lavender with my children for diaper rash, poison ivy and cuts. They enjoy the smell, it doesn’t linger a long time on them, and everything seems to clear up quicker than other things I’ve used. I have had a lot of experience with routine kitchen burns. I immediately run them under water. I usually get blisters, and they hurt for days. Well, the other day I got a serious burn on both hands. I had recently learned that a therapeutic-grade Lavender oil would help. I knew this burn could mean blistering and pain for many days, and I didn’t have time to be laid up like that. So after running my hands under cold water for 10 minutes, I tried the Lavender oil. To my amazement the pain ceased, the blistering I expected never happened, and I was able to use my hands like normal for the rest of the day. Last summer while we were visiting Disneyland my family of eight forgot the sunscreen and all got sunburns on our necks. All we had was my little carrying case with a few drops of Lavender. I knew it wouldn’t work to put those few drops on all of us, so I decided to use a little of my drinking water in the palm of my hand and dilute the Lavender in it. I was able to spread those few drops of Lavender to everyone in the family, and the sunburn relief was instant for all of us. Lavender never ceases to amaze me! I learned that if a little will work, maybe even a little less will work better. I have a large family so I’m no stranger to cuts and scrapes. I’ve used everything and nothing works better than Geranium and Tea Tree on a cut. It seems to bleed a little more at first to help clean out the cut, but very quickly the bleeding stops and the healing begins. Whenever I see blood I reach for the Geranium and Tea Tree because I know it will only be a matter of a day or two before there’s hardly a memory of the cut. It also helps with the pain. I was picking up my son at the airport the other day. We had an hour drive to get home. He complained of a sore throat coming on, so I gave him my little bottle of Tea Tree I always carry with me. I told him how to lick a trace off the back of his hand every few minutes. All the way home I would remind him every minute or two to take another lick. He had to be reminded to take only a trace because a full drop tasted awful. By the time we got home his sore throat was completely gone and didn’t come back. It seems to me that the misery of a bee sting seemed to last for days. So imagine my surprise when I got a bee sting the other day and tried an essential oil blend on it. Within ten minutes the pain had vanished—no swelling, no burning … nothing. It was completely gone. I’ve since learned that I have to act quickly. If I wait too long before grabbing the oils, it takes longer to stop the pain, and there’s still some stinging, but not as bad as before. It’s amazing how fast it works when it’s used right away. I was involved in an auto accident with some serious whiplash. I’d had such a problem before and spent a long time in recovery. This time I immediately used Peppermint on my neck, back and shoulders for pain and inflammation. For the next few days I continued using Pepprmint on my neck and back and inhaling it whenever I felt a headache coming on. Within 5 minutes the headache was gone each time I used it. I also had a peppermint bath. This treatment was much better than the pharmaceutical pain killers and muscle relaxers I would have had from my doctor. I was back to normal much quicker. My husband used to get two or three cases of chronic bronchitis every winter without fail. He’d be coughing hard for up to three months at a time. He tried every remedy there was. Then we learned about diffusing essential oils. In the 4 years we’ve been using essential oils almost every day on his check and neck and diffusing them, he’s only had one case of bronchitis, and essential oils helped clear that up within a week instead of months. When he had bronchitis, he also started taking oils in capsules and aromatic baths with essential oils. But what seemed to work best was using a diffuser. He would actually sit right next to the diffuser for ten to 15 minutes every morning and evening before bed. He didn’t have to miss one day of work during the week he had bronchitis, and his coughing was minimal. He was able to keep from coughing at night by using a cold damp cloth that had been dipped in a solution of a few drops of Peppermint and water. He put it on his neck to decrease the swelling in his bronchial tubes and allow him to go to sleep. It worked wonders. My husband came down with a cold the other day and was concerned that it might progress into chronic bronchitis as it so often has in the past. He started making Lemon capsules with 4 to 8 drops of Lemon oil filled up with Grapeseed carrier oil. He took four capsules before bed, and by morning the cold was gone without a trace. He kept taking a few capsules for a day or two just in case, and everything cleared right up. He also used lemon in his water for a few days after that just to be sure. I used to carry a lot of stress in my upper abdomen. I could feel it sitting there like a hard knot. When I started eating more fruits and vegetables, it eased up a bit. But I noticed that when I used a drop of Basil on a regular basis in my water or in capsules and applied it diluted right under my ribcage, the stress seemed to lighten up. I love using Basil in everything—water, recipes, herbal tea, tomato juice—anything. It seems to settle me down. I used to get a lot of motion sickness. Now whenever I feel it coming on, I get out my Peppermint and either put a drop in my drinking water if I have water handy, or I take a small trace on the back of my hand and lick it. It’s strong, so I can’t take too much, but I swish it around in my mouth. It seems to take away the motion sickness, and I feel better right away. I’ve noticed that I need to use it at the first sign of motion sickness, however, or it gets away from me. It doesn’t work if I’m already green and ready to heave. Nothing works if I wait that long. I always carry Peppermint with me when I’m driving in case I get a little drowsy. A trace of Peppermint licked off the back of my hand helps me stay alert. I’ve been plagued with lower back pain off and on for many years and it’s only become worse now that I’m in my 60s. When I learned about reflexology and essential oils, I was fascinated to try it to see if it could help. I learned to layer a series of oils down my back before I exercise and stretch my back each day. I’ve noticed that my back seems to immediately be more limber and less sore and stiff. My stretching and exercise is more comfortable, and I feel my back healing faster with exercise. I also massage the inside areas of my feet corresponding to my back. The extreme tension goes away and my back pain diminishes gradually. If I have severe back pain, I find that I can then start exercising and walking right away without being in bed for a couple of days with pain killers. I put a drop of Peppermint on my hand and rub it on the back of my neck. Then I cup my hands over my nose and breathe deeply. This simple habit is amazing for relieving the tension in my neck. I’ve noticed that it also de-stresses me and energizes my brain. It’s something quick I can do several times a day. It has made my stressful life so much nicer. Instead of using the expensive night cream I used to use, I now use a drop of Frankincense in a couple of drops of carrier oil every night after I wash my face. It works so much better and keeps my face feeling healthy and moisturized. I used to have to stay in bed at least once a month because of migraines. Now if I feel any hint of a headache coming on, I use a drop of Peppermint at the base of my skull and on my temples. Then I start drinking lots of water. It also helped to clean up my diet. It’s been a miracle. If I’ve had a really stressful day I know I’m going to have trouble sleeping, so I give myself a complete foot massage with a calming blend and I fall right asleep and wake up feeling so much better. I don’t do well in stressful situations or when I’m around a noisy crowd. So when I know I’m going into a group of loud people or where there’s a lot going on, I use a drop of a calming blend on the back of my neck, my temples and under my nose. It really helps me. I always carry water with me to keep myself hydrated. I love adding a drop or two of Peppermint, Lemon, or Orange to my water. I even add a drop to the drinking water in restaurants. I’ve noticed that I drink more water because it tastes better. I seldom get sick when I keep up this habit. I’ve never found anything like Peppermint for a headache. I first learned about it at a yoga class when I was complaining of a killer headache. A friend asked me if I was willing to try Peppermint oil. She gave me a drop and asked me to put it on my temples, forehead and back of my neck. Within two or three minutes I looked right at her and said, “My headache is gone! How did that work?” Peppermint has never failed me for the kind of headaches I get. Whenever I feel overwhelmed I rub a calming blend between my palms and breathe it in. It’s so wonderful. I share it all the time with my friends, and they swear by it. Scrapes and Peppermint “I could actually watch my wounds healing"
We were on a river trip, and our raft ran into a tree. I got scratched up pretty bad. Since I was carrying my essential oils kit with me, I immediately put on some Peppermint. I spent the rest of the day having a a lot of fun and watching my scratches heal. There wasn’t any pain, redness or inflammation. By the end of the day the scrapes looked like they were several days old and healing. Within 2 days there wasn’t any sign of my accident. When I first heard about essential oils I had had a stomach ache and nausea for a day and a half. A friend gave me a trace of a digestion blend on my tongue and I applied Basil to my abdomen. Within 5 minutes I felt so much better. Now, when I hear someone complain about being bloated, I give them Basil and they seem to always feel better right away. Whenever I’ve sprained my ankle, it’s taken a long time to heal, so when it happened again (I’m in my 60s) I was convinced I was in for a long healing time. I used a pain blend on my ankle for a couple of days, and it was fine. I’ve had a fungal infection from athlete’s foot in my toenail for years. I tried Tea Tree from some aromatherapy shop or health food store because I heard that it might help. It made no difference. When I heard about high quality therapeutic grade oils, I decided to try it again. I found that discoloration I had lived with for so long started going away and within a month the infection I had lived with for decades went completely away. I accidentally burned my hand taking something out of the oven. I applied Lavender and the pain went away within seconds. Amazing. When I learned about the benefits of Frankincense and Myrrh for respiratory situations and that they made a great foot massage, I decided to try them by massaging my asthmatic 5-year-old son’s feet every night. It really helps him relax and sleep through the night, which he rarely did before because of his asthma. I’ve never tried anything like essential oils before. One night a friend put two drops of Peppermint on my hands and asked me to rub my hands together then put the oil on my forehead, temples and on the back of my neck. I noticed that I immediately felt calm and relaxed, so I decided to try it on the headaches I take pain medication for so often. I know all the over-the-counter headache medication wasn’t good for me. I was amazed at how well the Peppermint worked. Now I use Peppermint instead of pills. If I get a little sinus congestion, I apply a drop of Myrrh on the sides of my nose and around my sinus area. The congestion seems to always go away and doesn’t come back. I often have a hard time winding down after a stressful day and getting to sleep. If I wake up during the night, I can’t get back to sleep. I started using Lavender on my feet and ears each night before I went to bed. It works so well. I’m able to wind down and drift right off. I use it again in the middle of the night if I wake up. In the morning I’m feeling great, not drugged up and tired like I felt when I used sleeping pills. I use Lavender on my children too to help them calm down before bed. It works great. If I feel the first sign of a scratchy throat I use a drop of Peppermint or sometimes one of the spicy anti-bacterial blends in some honey. I hold it in the back of my throat for a few minutes, and the tickle seems to go away quickly. If it happens when I am really busy, I’ll simply lick a trace of the oil off the back of my hand, swish it around in my mouth for a second or two, and the scratchy throat goes away. Before I learned this trick, I knew that a scratchy throat was the first sign of a full-blown cold and a week in bed. There are several of us in our family who have been taking daily medication for asthma. As a mother I was concerned that things were getting worse over time. So when we learned about essential oils, we decided to try the basic habits associated with a respiratory blend. We used the blend every day in diffusion, topical application and some ingestion. Within two weeks, we noticed a significant difference in our children. It was a difference we could actually see in the numbers on the monitor we use to track their breathing. My doctor agreed to lower the amount of medication they were using. It’s great to think that we can gradually get away from medications and all their side effects with the help of our family physician who is open to safe, alternative medicine practices.